PIVX uses a custom proof of stake protocol called zPoS to provide network consensus, this allows any user to privately help control the network and earn PIVX, without needing massive mining equipment and wasting energy as in bitcoin. Furthermore anyone can own a Masternode by locking up 10.000 coins, this grants people PIVX as a reward and allows them to vote on future decisions. Masternodes provide the SwiftX function, so that any transaction can be fully confirmed instantly, making it perfect for merchants. 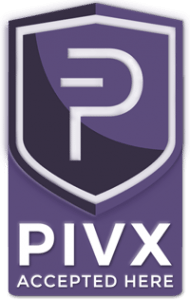 PIVX has it’s own fixed budget allocated for awarded proposal to maintain and improve the project, and is 100% self-sufficient. It gets this fixed budget by using 10%s of the block rewards. Low Fees Transaction fees are currently fractions of a penny and can vary slightly depending on how quickly you want to send your transaction through the network. The faster the transaction time, the more expensive it will be. Comparatively to something like bitcoin though, it’s extremely cheap. PIVX recommended fee costs 0.0001 PIV, and will be confirmed within the next block (~1 minute). PIVX can be sent with no fee and will be confirmed within the next block unless the transactions per second capacity is reached. Dynamic coin supply Coin supply inflation is already very low at around 4%, but since almost all the new coins are paid to anyone who holds PIV, the effective inflation rate is even lower. Add to this that PIVX burns all transaction fees, which effectively means that all PIVX holders gain value from every transaction . This controls further inflation and can even reduce total supply if transaction fees outweigh the block reward. Decentralized PIVX has no central authority governing it. It is globally distributed and does not have a single point of failure. Community Driven PIVX is a global community using Swarm Methodology to empower users to get involved and make a difference.